Coto de Gomariz is the Carreiro’s family cellar. It is located in the Valley of Gomariz where wines are made from the 10th Century. They make the wines they like, with native Galician varieties, thanks to a unique microclimate and three different soils: granite sand, clay and shale. The oldest preserved buying and selling document for exportation dates from 925. The Priory of St. Mary of Gomariz belonged since 1138 to the Monastery of Toxos Outos, following the granting of a privilege by Alfonso VII. It belonged to the Sarmiento, to the Mosteiro de Sobrado and to the Auriense Town Council. The Gomariz Preserve is the oldest registered wine preserve of the Peninsula and so it is established in the General Registry of the Kingdom in Simancas. During the low and high Middle Ages it was the most renowned area of the north of the peninsula, as evidenced by the numerous writings in trials and ship charters of that period. After the failed invasion of England, Felipe II removed temporarily the dominion over Gomariz to the monastic orders and rents it for 640,000 maravedis. Until the confiscation of Pascual Madoz from the religious orders. Gomariz was divided between the religious orders Cistercian, Benedictine, Cathedral of Ourense and Cathedral of Santiago throughout history. The nobles and powerful people alternated its control intermittently with monasticisms. Since the confiscation to the present, the property is divided between small winery owners and winemakers. In the 1970s Ricardo Carreiro Ameijeiras, after his voyage to America, restructures the family vineyards with only autochthonous varieties. Buying farms and annexing them to the family property, he plants in 1978 O Figueiral. It is considered the first mechanized vineyard in the area at that time. He puts the foundations of what would be in the future the family winery Coto de Gomariz. In the 1980s they bottled their first wines. In the 2000s his son Ricardo Carreiro Álvarez, takes over the management of this small company. He modernizes and professionalizes the company achieving an international character. Since 2001 Xose Lois Sebio is the technical director and enologists of the winery. In 2004 it begins to grow in organic and biodynamic farms. Nowadays the winery has 33 hectares of vineyards all along the valley of Avia. In Gomariz there are 24 ha, almost all of them being cultivated through natural viticulture. The principles of Masanobu Fukuoka are followed, together with traditional techniques of viticulture, biodynamics and ecology. Nowadays we distinguish the wines by the zones and the soil quality. The simplest productions correspond to the mono-varietal wines of the majority grapes: Treixadura and Sousón, but we also produce wines from only one property, selection of various vineyards and wines with aging in barrels. It is nowadays one of the most avant-garde wineries in Galicia and has one of the best parks of barrels. The red wines stand out for their long and careful aging which produce guard wines, such as VX Wines. 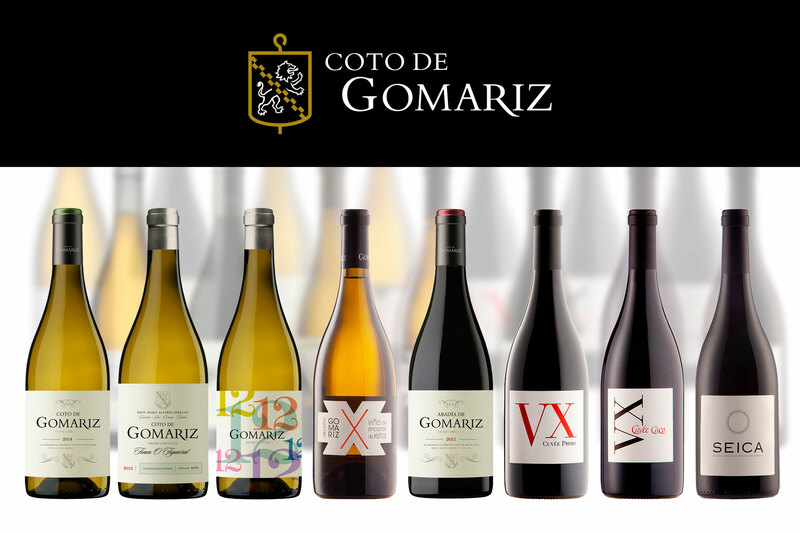 In white, the Coto de Gomariz brand has been marketed since 1989 and is one of the Galicia’s most renowned wines.